The West Australian Football Commission (WAFC) and 7 Network have joined forces to ensure television coverage of West Australian Football League (WAFL) games for the 2015 season. 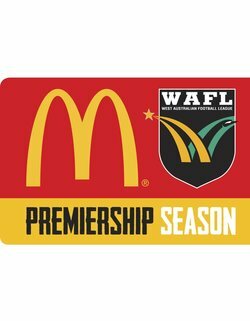 McDonald’s has been confirmed as the major broadcast and naming rights partner for the 2015 McDonald’s WAFL Premiership Season with games to be televised in the Perth metropolitan area and regional Western Australia on the 7 Network. 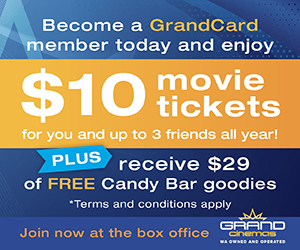 The broadcast will also be made possible by supporting partners AHG, reiwa.com, TABtouch and the WAFL Clubs. WAFC Chief Operating Officer Nicholas Sautner thanked McDonald’s, AHG, reiwa.com and TABtouch for their support of the WAFL and 7 Network broadcast, which will allow the competition to remain on free to air television across the State. “It is extremely important that the WAFL competition is televised and the WAFC has worked very hard over the last two years to achieve certainty of statewide coverage going forward,” Mr Sautner said. McDonald’s Collie licensee and Collie Eagles Football Club Committee Member Grant Smith, said the partnership was a great opportunity for McDonald’s and its WA owner operators to show their support for home-grown football. “Not only will it allow WAFL games to continue to be broadcast on free to air TV throughout the state, it also becomes a platform to expand our iconic game and encourage fans, families and young people to become even more involved in the sport,” he said. “Both McDonald’s and the WAFL see footy as a sport to be embraced by the whole family, from one generation to the next, so we are thrilled to be playing a role in extending the reach of the game into communities across the state. Last year, football provided physical activity for more than 178,000 West Australian participants of all ages, male and female, from Auskick to Masters. It acted as an ideal vehicle for encouraging healthy lifestyles, especially with the support of televised games. 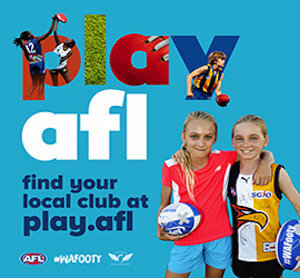 Mr Sautner said that every WAFL District throughout the State promotes healthy living messages and encourages football participation, which is reinforced through television coverage of the competition. “The WAFL is the pinnacle of grassroots football in WA and a launching pad for the most talented players in our state. Television coverage plays a vital role in showcasing this talent to a wider audience, while also allowing fans to identify with their WAFL club from an early age, no matter where they grow up,” Mr Sautner said. Channel Seven Perth Managing Director Mario D’Orazio said: “We’re delighted the WAFL is coming home to Seven, where it belongs. We know footy fans love their game, and we’ll do our very best so WA supporters can watch their local stars in action. AHG managing director Bronte Howson said the broadcast agreement would offer benefits across the football community. “At AHG, we are committed to the communities in which we operate and the WAFL is an important part of the wider Western Australian community,” said Mr Howson. Mr Howson said AHG would have naming rights to the WAFL Mark of the Year, a new award for the WAFL Rookie of the Year and to the WAFL finals series. “It’s a great way for AHG to acknowledge football excellence, outstanding new talent and the ultimate achievement in the WAFL,” he said. REIWA chief executive Neville Pozzi said the Institute was very pleased to partner with Channel Seven’s WAFL coverage because of its Western Australian roots and popular appeal with local residents. “Last year we relaunched our brand and successful reiwa.com website to boost its local appeal and strength as a West Australian real estate portal, so it’s a good fit for us to partner with another iconic home-grown institution to extend our reach,” Mr Pozzi said. Mr Pozzi said West Australians were as passionate about real estate as they were about footy and the partnership would help more people kick their own personal goals in the housing market.